What exactly is emotional intelligence, and how can it help you in your small business or career? As a relatively new transplant to America, I’ve enjoyed learning more about U.S. history, and some of this country’s truly impressive heroes. I’m particularly taken with Benjamin Franklin, who in addition to being a founding father, has a host of other mind-boggling accomplishments. He was not only a successful businessman by the age of 23, but a scientist, inventor, author, activist, and diplomat. It seems that nearly everything he touched turned to gold, from his invention of the bifocals to his theories on electricity to his founding of the University of Pennsylvania, and much more. Certainly, he is an example of someone with a stellar IQ, who could find success anytime, anywhere. When we look at the world’s highest achievers, like Ben Franklin, it’s easy to automatically assume they’re smarter than the rest of us. This can leave you to wonder, With my “average” IQ, how can I compete and succeed? The good news is, there’s another form of intelligence with a far greater impact on your success in sales, business, and life in general. You don’t have to be the smartest person in the room to reach your goals and achieve your dreams. Sure, that can help, but what you really need is emotional intelligence. And here’s the best part: While you’re more or less stuck with your IQ, studies going back to 1995 suggest that emotional intelligence not only naturally improves with age, but with focused effort and diligence, it can also be learned at any stage of life – providing huge benefits both personally and professionally. 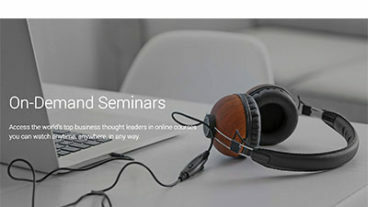 Get ready to see the world’s top sales and business people through a new lens! While they may also be smart, they’re more likely to simply have incredibly high levels of emotional intelligence – a trait that you too could soon share. Emotional intelligence, or EI – a term popularized by Daniel Goleman and used for the better part of three decades – is best defined as the ability to understand and respond to your emotional state and that of others. Human beings are emotional creatures; we can’t help it. However, once you can understand what’s happening internally, it becomes possible to control these emotions. At the same time, an emotionally intelligent person can also ascertain what someone else is feeling – and thereby act accordingly, influence others, and be a catalyst for change. Are EI and EQ the same thing? When I say or write “EI,” I am often corrected by people who believe I’ve made a typo or have misspoken. In truth, not only are EI and EQ not the same thing, but the difference is of profound importance. I think the distinction is best explained by Justin Bariso in INC, who notes that EQ concerns theory, while EI concerns practice. True EI is not just knowing the theory, but internalizing and applying it. For instance, many people “know” that if the rear of your car starts to slide, you should not use your brakes, but instead steer in the same direction as the skid. But that doesn’t mean that when that horrible moment comes, we’ll actually do it. After all, adrenaline spikes, fear sets in, and we can easily freeze, slam on the brakes, or steer erratically to try and regain control. Having true EI is about more than just knowing the right thing to do; it’s about putting it into practice when it counts. EI can be broken down into four distinct factors: self-awareness, self-regulation, empathy, and social skills. Later in this article I will show you how you can start the process of improving each one of these skills and applying it to specific business and sales activities – but first, let’s outline these four elements in greater detail and show why they have such a profound impact on your success. Self-awareness. In my late teens, I was the founder and CEO of a multimillion-dollar telecommunications business, and I had just won a prestigious business award in my city. Yet I still remember going home, looking out the window of my high-rise luxury apartment, and being hit with the realization that I was miserable. It finally dawned on me that I’d done everything for the wrong reasons (money and stuff to impress others) and because of that, I was now running a very successful company I didn’t love, selling something I couldn’t care less about. Without that realization, regardless of my IQ, perhaps I would have started to shirk my responsibilities as a salesperson and business leader; perhaps I would have been overcome by a deep depression, leading to subconscious self-destructive behaviors. Instead, I changed course, and was responsible for four more multimillion-dollar business success stories before the age of 30. I now spend my life focused on my true calling – helping the small business service provider develop a Rapid Growth strategy so they can earn great money in a business that they LOVE! I’m often shocked by the reactionary or knee-jerk ways that people evaluate situations and make critical life-changing decisions, which is why I see self-awareness as the most important element of EI. To be considered truly self-aware, you must learn to recognize your feelings, motivations, biases, and any other key driving forces that may be clouding your judgment or interfering with your decision making. Self-regulation. The ability to understand your emotions and the drivers behind them, and to then control your behavior, is probably the most powerful tool in your sales, business or life success toolbox. Yet for most people, they have to wait until they do an MBA or some other leadership qualification to even hear about it. Most people who follow me know about my journey: I went from an introverted and acne-riddled teenager doing back-office data entry, to being thrust into commission-only sales. Though I was terrified, I set about learning the system of a sale, and became the #1 salesperson in the southern hemisphere in just six weeks. But a story I don’t tell often is what happened next. See, not only was the company I worked for commission-only, they also had a policy of paying all commissions four weeks in arrears. That means, even if you do sell from day one, you’re not seeing a dollar for close to six weeks. Well, the day came when I finally got the opportunity to get my first paycheck. I wasn’t expecting much, but when I opened it up, I was pretty surprised to see $0. Turns out, one of the managers didn’t batch my sales from week one because my ID number was still getting generated. The next paycheck eventually came, but unfortunately there was an issue with my contract; I still didn’t receive a single dollar. Finally, a week later, I received my first real check. The whole experience was incredibly frustrating, but one thing that stayed consistent over the weeks was that my sales kept going up. So how did I stay focused, keep my head in the game, continually improve, and not seem desperate to my customers, while at the same time dealing with the financial walls closing in all around me? I didn’t know it then, but I was practicing self-regulation. I knew that I was running out of money, and I knew that I was really frustrated with the operations staff of the company. But I also knew what I wanted in the bigger picture, and that focusing on the negative was not going to help my paycheck down the road. So I put it from my mind and got back to the business of making sales. This is a skillset I’ve carried through my entire life, and a critical success factor not only in sales, but in business and leadership overall. For example, I’ve seen incredibly smart leaders wrongly snapping at staff members due to stress, or making poor decisions quickly because of a self-imposed sense of urgency. These are failures in an individual’s ability to self-regulate, and every time this happens, it costs them customers and money – and many times, something far greater, like the respect of a colleague or a chance at a promotion. Empathy. Empathy is an awareness of other people’s emotions; it’s being able to understand why people feel the way they do. You may immediately recognize the importance of empathy in leadership, relationships, and life in general, but many people are surprised to learn that it’s also a key component of an effective sales process. In the last few years, I’ve had the opportunity to work with a huge variety of businesses and salespeople, from billion-dollar technology companies and global non-profit organizations to the solo service provider. But no matter who I’m working with, no one seems to initially understand the importance of emotion in the sales process. When I ask them to tell me about someone they’ve sold to previously, the story always goes the same way: I spoke to customer X who was having problem Y. We implemented solution Z and they got a great result. Sometimes they’ll share an ROI metric to wow me. What was the customer’s name? Not the company, but the customer’s actual name? Do you think this person was scared of making the wrong decision? Do you think they felt out of their depth or overwhelmed with all the information they had to consume from you and others, just to have the best chance of making a good decision? Do you think they were worried about what it could mean to their career, business, and family if the implementation failed? Do you think they might have been excited about what it could mean for their career, business, and family if the implementation succeeded? Why was none of this in your story? Salespeople who lack empathy fixate on what they’re trying to achieve, and often forget that they are selling to a real person with real emotions. This leads to a sale where they only ask self-serving questions (often only the questions they’ve been told to ask) before using the answers to TELL the prospect why their product or service will help. Increased empathy drives the salesperson to ask more genuine questions aimed at truly understanding the prospect and seeing the problem from their point of view – both in a business sense as well as with an awareness of how the problem (and being in charge of fixing it) is affecting the prospect personally. Empathy leads the prospect to feel a greater connection to the salesperson, and a greater level of trust that the salesperson not only understands the problem, but is the most qualified provider to fix it. In short, all other factors being equal, empathetic salespeople make better salespeople. Social skills. While empathy plays a big factor in developing strong rapport with customers and co-workers, social skills go far beyond the ability to empathize, to include skills like active listening, persuasiveness, and verbal and nonverbal communication. I’ve seen people with incredibly high IQs alienate rooms of people with only a few poorly-thought-out sentences, and others of moderate intelligence work rooms to gain buy-in on an idea, obtain a promotion, or close a sale. One of the things I’ve noticed when it comes to social skills is that naturally extroverted individuals don’t recognize they have deficits in these areas – and unless the deficit is highlighted, they’re unlikely to seek assistance in combatting it. Introverts, on the other hand, have real strengths in some of these areas; however, they believe they have a natural personality deficit (their lack of so-called “gift of gab”), which prevents them from truly harnessing and developing these skills. I have found that with dedicated effort, both groups can obtain proficiency in all of these areas, as long as they treat each of them like any other skillset. Is EI really a learnable skill? Though some newer studies show that IQ can be developed in childhood by as much as 25 points, once you’re an adult, your IQ is essentially set. Conversely, with individualized coaching, training, and feedback, EI can indeed be learned and improved at any age. Ultimately, increasing your EI is a choice. One of the most popular ideas of Neuro-Linguistic Programming (NLP) is “cause and effect,” which basically means that when confronted with a problem or hardship, you can make the decision that it’s out of your control, and be affected by it, or you can choose to be at cause, be responsible for it, and then look for strategies to overcome it. In short, being at cause empowers you to look for ways to rectify the problem instead of being at its mercy. It puts you in the driver’s seat. Too many people, when confronted with deficits in EI skills, tell me that it’s not their fault, that they’re simply not empathetic or they’re an introvert with low social skills, as though it’s something they can’t change. If this is you, please know, you are choosing to be “at effect” of a problem – and this mindset makes it impossible to improve your EI. You must choose to be at cause if you want to achieve your goals. How does low EI let you down? Many years ago, I worked with an incredibly smart individual from IBM. While socially awkward, she was a technology genius. During our first discussion, she mentioned she was annoyed that she hadn’t been promoted in almost a decade. Then, in the very next sentence, she complained that the sales team sometimes dragged her into sales meetings and that she hated it, so she always ended up snapping at someone… often the customer! Her excuse was “I’m just not a people person.” I helped her understand that was a cop out, or to use the NLP terminology, “she was choosing to be at the effect side of the equation.” I explained to her that it was likely that the sales team was bringing her into meetings because they needed her help, and that it was a great way to showcase her value to IBM, but that her snapping at the customer only proved that she was not a good candidate for promotion. I further explained that at any time, she could choose to be at cause and work to fix the problem. Less than six months later, she had improved so much that she’d secured that promotion, with a six-figure increase in pay. When you’re not in control of your emotions and possess poor social skills, regardless of how smart you are, you lose out in a professional sense – my client at IBM certainly did, until she consciously worked to solve the problem. If you’re not self-aware and cannot self regulate, you’re probably prone to outbursts, especially when put under stress or in situations you find uncomfortable. Understandably, this is exacerbated when it comes to selling to a hostile prospect, speaking to a disgruntled employee, or pitching your idea to a closed-minded boss. In researching EI, two studies in particular caught my eye. The first looked at proprietary data for more than 500 well-known corporations. Researchers focused on three key areas: IQ (cognitive ability or intelligence), technical skills (the skills required to do a job) and EI. They found that across all companies and positions (including sales), EI was twice as important as IQ and technical skills combined. The researchers also found that 85% of the difference between top positions and lesser positions was down to EI. That is, when it comes to even the top levels of management within companies, EI is by far the most important requirement for success. The second study looked at Pepsi’s corporations and departments worldwide, and evaluated the EI of their most senior employees. Researchers found that if a senior manager demonstrated six or more EI competencies, their division would outperform budget by up to 20%. Conversely, senior managers with four or fewer EI competencies would come in approximately 20% below budget. Despite comparable IQ levels and technical skills, the senior managers with better EI had demonstrably greater success. How do you improve your EI? So now we understand why EI is so important to our real-world success in any pursuit, and that EI skills can be developed through training, coaching and feedback. Let’s dig in to where you should begin. Of course, there are thousands of EI coaches out there, any of whom would be happy to work with you. But before you do that, I’d suggest you first start by finding yourself a buddy, preferably someone you identify as having high EI and someone you respect. Let them know that you’ve been reading this article (and any other research/self-analysis you’ve checked out) and tell them your goal to drastically improve your EI competencies. Ask if they’d be willing to be your sounding board and mentor as you undergo the process of learning and internalizing the strategies I provide below. Perhaps suggest a weekly lunch or coffee. Self-awareness. One of the most critical elements to obtaining self-awareness is to first discover (or rediscover) what you truly want – and more importantly, why you want it. After all, if you don’t know what you want, and why, how can you begin to achieve it? Some people traded in their dreams for the practical so long ago, they don’t even remember what those dreams are anymore. Others, like my past self, never took the time to really think about what they truly want; they just inherited their goals based on what their parents, friends and colleagues at work said was evidence of success, like a Ferrari in the driveway and a million-dollar business. How are you feeling going into the sales call, staff meeting, staff evaluation, presentation? What are your emotions? Are you nervous? Feeling rushed or edgy? Why? Where are you mentally? Is there something that’s clouding your mind, like a recent confrontation or failure? How confident are you with your plan, sales system, strategy, and the materials you’ve had to learn or are taking with you? going into a sales meeting, you’re able to separate your emotions from the sales process. Instead of getting flustered or reacting on an emotional level, you can simply follow your established process. Don’t have a clear sales process yet? Keep reading for resources provided near the end of this article. Self-regulation. Once you’ve gained self-awareness of exactly what your drivers are and where you are mentally, it becomes possible to implement tools to handle your emotions, especially the negative ones. For example, if you’re nervous before a sales call, deep breathing or reciting positive affirmations might help. If you’re feeling edgy, a drink from the water fountain or some basic stretching exercises might be enough to break the cycle. Or you may simply want to remind yourself that you’re now working towards your true goals. Different tactics work for different people. I know when I’ve just had a confrontation, I need to take a two-minute break before a sales call, or wait at least an hour before talking to a staff member about a mistake they’ve made or a stressful situation they might need help with. If I’m going on stage to deliver a keynote, whether to 20 or 20,000 people, at 8am or 3pm, my self-regulation process is the same: Go over my slides the night before and get eight hours of sleep. Make sure I eat a good meal. Reserve two hours of prep time before my presentation. Arrive 15 minutes early. Fifteen minutes before start time, walk away from everyone and center myself, then practice my opening lines. Remind myself that my job is to help them see business growth from a different perspective… THAT’S IT. Because I’m an introvert, this routine reduces my anxiety and stops me from self-defeating behavior, such as worrying what people might think. Developing and following this self-regulation process has on world-class stages, including a national tour for Oracle (where I received an outstanding endorsement from the VP of Oracle Digital), and being chosen as one of ten Featured Speakers out of 600 for Microsoft Inspire. Through self-regulation, you too can conquer public speaking, whether your goals are delivering a keynote or confidently leading a team meeting. Empathy. In any business situation, always remember that it’s not about you or what you think you said. It’s about them and how they feel about what you said. Remember, empathy is not about logic; it’s about feeling. No matter how much you consider and choose the right words, you can’t control how the hearer perceives them. How did they react to what I said? Is that what I wanted and would have predicted? If not, how am I going to change that? What must they be feeling to have responded that way? What else could be happening around this discussion/decision, that may be affecting them? Is there big promotion riding on them getting this right? Might they be going through a personal problem? Empathy allows you to notice and understand a client’s feelings. For instance, in the act of selling, rather than ignoring a prospect’s concerns, Daniele suggests that being empathetic means you can respond to detectable discomfort and ask the client to explain their reservations. Or you can try my personal favorite: To help them overcome their emotional barrier, tell them a story of someone else who had the same concern, and the amazing outcome they received in working with you. This allows you to allay those concerns – thus moving one step closer to landing a sale. Social skills. If you’re an extrovert, the area in which you’re most likely to have a social skills deficit is active listening. If this sounds like you, a great start to correcting this is found in my podcast episode, “Why Active Listening is the Key to Business Success.” In this episode, I discuss why you need to actively listen, and more importantly, how to do it effectively. For the introverts out there, your skills gaps will largely lie in what you would call “gift of gab” abilities, leading to difficulties in each of the areas listed below – and a belief that you can’t do anything about it. But let’s nip that misconception in the bud right now – you do not need the “gift of gab.” EVERY SKILL BELOW IS 100% LEARNABLE AND MASTERABLE. Even better, once you see that these skills actually rely on systems rather than innate conversation skills, you’ll learn to embrace those systems and leverage your introverted abilities within them. In short, you’ll soon be able to beat the extroverts at these activities hands down. When it comes to learning the strategies to successfully speaking from stage (especially as an introvert), there is no better resource than my good friend Jay Papasan, co-author of international bestseller The ONE Thing. 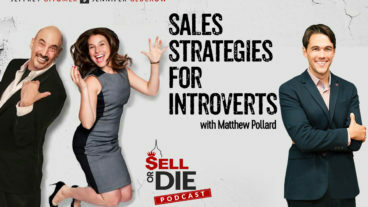 While many people (especially introverts) find it hard to believe, the truth is that sales mastery is a learnable skill, just like any other so called “gift of gab” ability. I’m on a mission to help introverts not only understand and believe this, but to help them discover a natural and authentic sales process that works for them. I teach this in detail in my book The Introvert’s Edge, but you don’t need to buy my book to learn it for yourself. Simply download the first chapter here. If you do nothing more than take the seven-step process I outline, fit in what you already say to customers, throw out everything else (if it doesn’t fit the outline, you shouldn’t be saying it to customers), then fill in the gaps and learn the whole thing like a script, I guarantee you’ll double your sales in the next 60 days. Sales systemization doesn’t have to mean phoney! I’m a big believer in sales systemization. What I mean by this is to make sales results a reflection of your system, rather than yourself. That is, if a sale doesn’t go well, it’s because the sales process didn’t work, not because they said “No” to you personally. And with regard to EI, sales systemization works wonders. It allows you to get out of your own head, stop trying to work out what to say and when, and be more present with the customer, so you can truly empathize with what they are going through and what they need. It also helps you emotionally regulate when they raise an objection or reject the pitch entirely, because again, this is not a reflection on you as a person. The main issue people have with using a sales system is they’re concerned with sounding fake, rehearsed, and robotic. However, there’s a big difference between being systemized and being phoney. Sales systemization gives you an efficient process to work through. It’s not about being artificial; it’s about finding a way to improve and work towards success. But if you’re still worried that sales scripting will come across as sounding inauthentic, I get it. I was initially terrified of using a script for the same reason. But then I thought about how we all love our favorite TV and movie characters. They’re using a script too, and they sound totally natural and authentic. If all those actors can follow a script and produce a character loved by millions, then you can do the same when it comes to sales. I’ve done it and made millions, and now it’s your turn! And the best part is, it’s a lot easier than you think. All you have to do is grab the first chapter of my book, 100% for free, and get to work! Download it here. 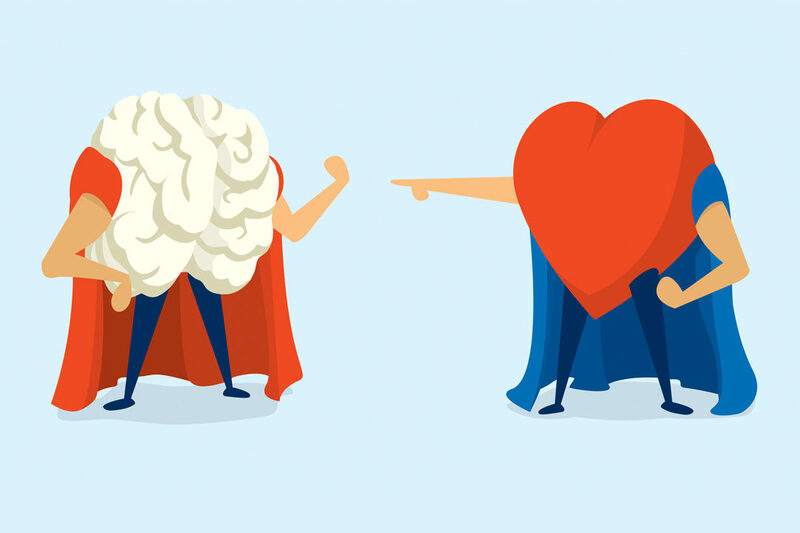 Emotional intelligence is a skill that’s incredibly beneficial when it comes to sales and business – but its use goes far beyond closing a deal or getting a promotion. EI can help you in virtually any professional or personal activity. Emotional intelligence can be learned – and it really is the key to success! Be at cause, and start developing your EI today.